Google has recently released a new update to its popular Earth Timelapse allowing users to visually track geographical changes of the planet from the year 1984 to 2016. 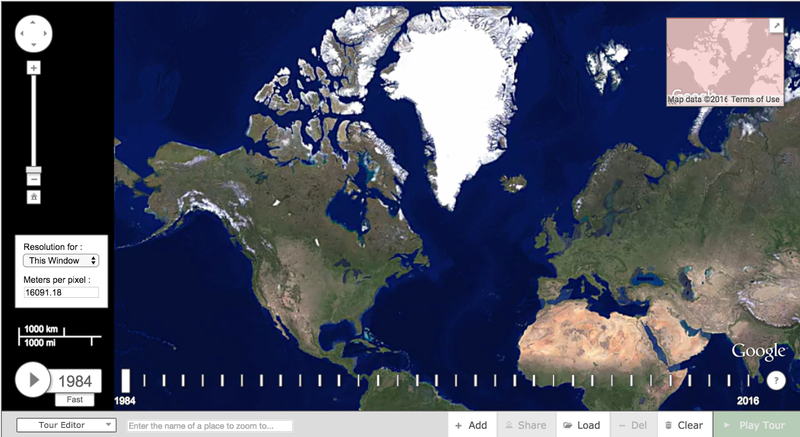 Using video footage, users are able to see how the Earth has changed over the past three decades. Drawing on Earth Engine’s cloud-computing capabilities, this project makes use of over 5 million high definition satellite images acquired by five different satellites. Users can also access a highlighted selection of Google Timelapse tour featuring a number of popular cities from Florida to Dubai in United Arab Emirates and see how they have transformed over time. Alternatively, you can use Time-lapse Tour Editor to create a timelapse tour that moves from one destination to another over time.